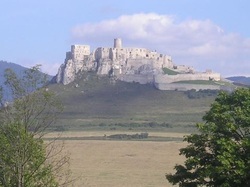 I highly recommend Slovak-Tour guide for anyone wanting to reconnect with their Slovak roots. Zuzana Razusova was my tour guide, translator, and Slovak family researcher. She was so instrumental in helping me explore into my Slovak descendants whereabouts. The amount of time, effort, patience and superb translation she showed in trying to investigate family history dating back 100 years was astonishing. She put the pieces together of the limited information I had about family in the tiny village of Brusnica. The thrill of discovering family was beyond belief. Dakujem to Zuzana and Slovak-Ancestry! I highly recommend their services for anyone trying to reconnect with their Slovak roots, or wanting to tour the beautiful country of Slovakia and the Saris region of Eastern Slovakia. 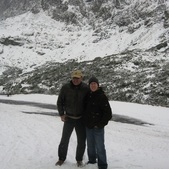 Your tour was outstanding (Tatras,Spis castle etc. )You did a great job ! Hope I get to return soon . Thanks for everything. We had a great time, and the opportunity to learn so much about our family was a once in a lifetime experience. 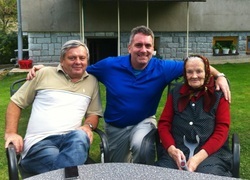 Meeting you and searching for my Slovak ancestors and possible relatives certainly was a highlight of my life. 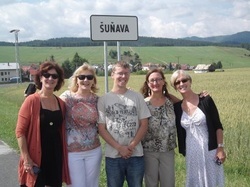 Please accept our sincere thanks for your efforts as travel guide, interpreter, and family historian during our recent (July 5-7, 2012) trip to eastern Slovakia in search of family roots. Your services exceeded our expectations in all categories. We feel very fortunate that we contacted you some months ago to search the state archives for vital records, a task that you performed promptly and with considerable success. We are also happy that we made you part of our planning efforts for a follow-up trip to Slovakia in order to meet "cousins" you located in the village of Vojnatina. We can recommend your services to others without hesitation, and we would be pleased to serve as references should anyone be interested in contacting us.